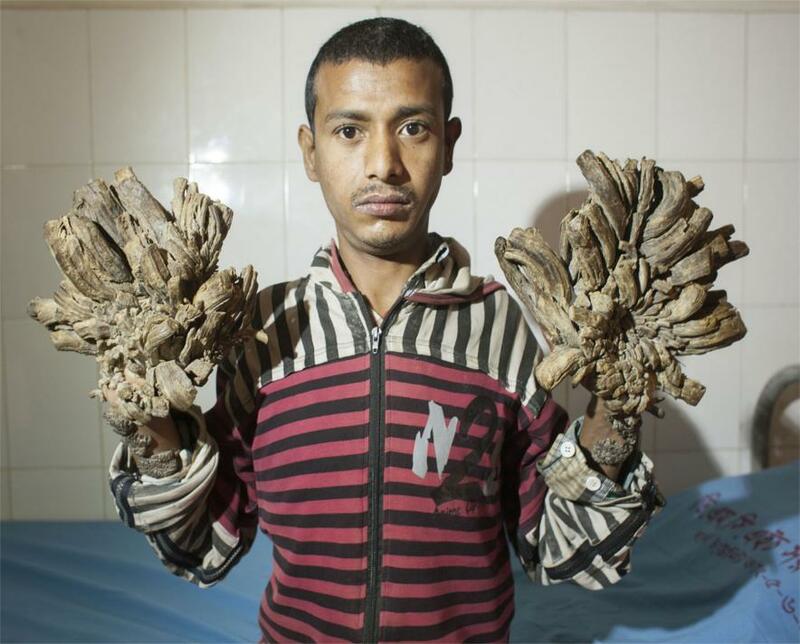 A Bangladeshi father dubbed the "tree man" because of the bark-like warts that once covered his body will soon be able to leave hospital after groundbreaking treatment for one of the world's rarest diseases. 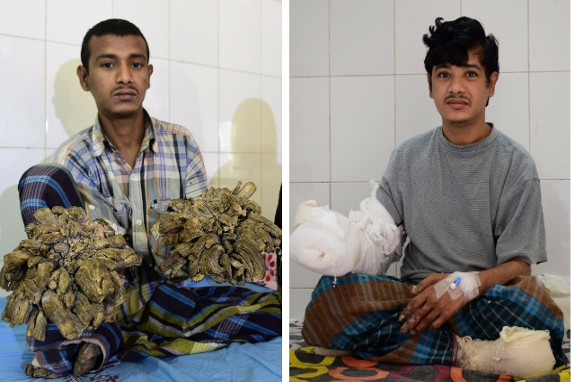 Abul Bajandar has undergone at least 16 operations to remove 5kg (11 pounds) of growths from his hands and feet since his condition came to doctors' attention a year ago. The 27-year-old former rickshaw driver is one of only four people in the world ever to be diagnosed with epidermodysplasia verruciformis, an extremely rare genetic condition dubbed "tree-man disease" that left him unable to hold his three-year-old daughter. "Bajandar's cure was a remarkable milestone in the history of medical science," said Samanta Lal Sen, plastic surgery coordinator at Dhaka Medical College Hospital. 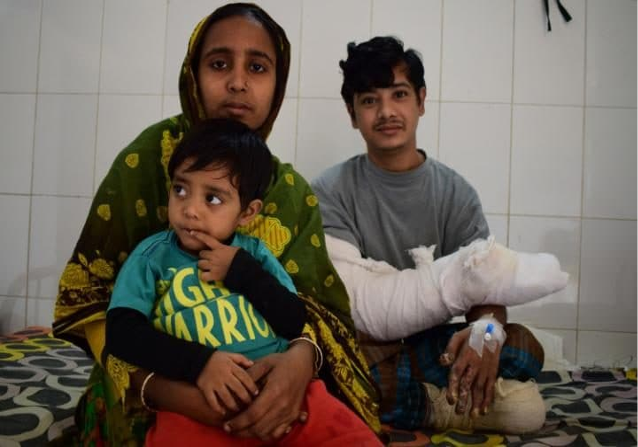 Speaking from his bed at the Dhaka Medical College Hospital, which has been treating him free of charge, Bajandar said the pain of his condition had been "unbearable". "I never thought I would ever be able to hold my kid with my hands," he said, showing a bandaged hand. "Now I feel so much better, I can hold my daughter in my lap and play with her. I can't wait to go back home." He met his wife Halima Khatun before he contracted the disease, but it had taken hold by the time they married, against her parents' wishes. "He is probably the most loved and longest-staying patient in this hospital," said duty doctor Nurun Nahar. "I was so worried about raising my daughter," he said. "I hope the curse won't return again."